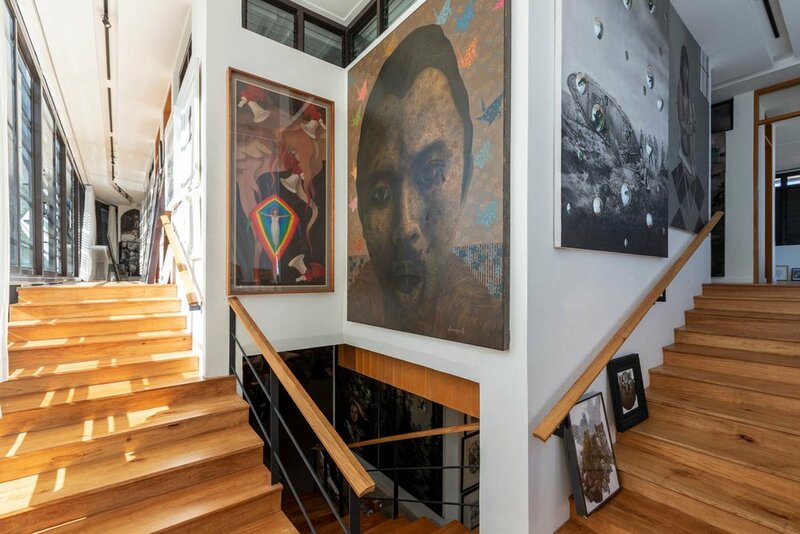 In Quezon City, the Philippines’s largest city, Buensalido + Architects have created a distinctive home for their well-known clients, media personalities Julius and Tintin Babao and their two children. 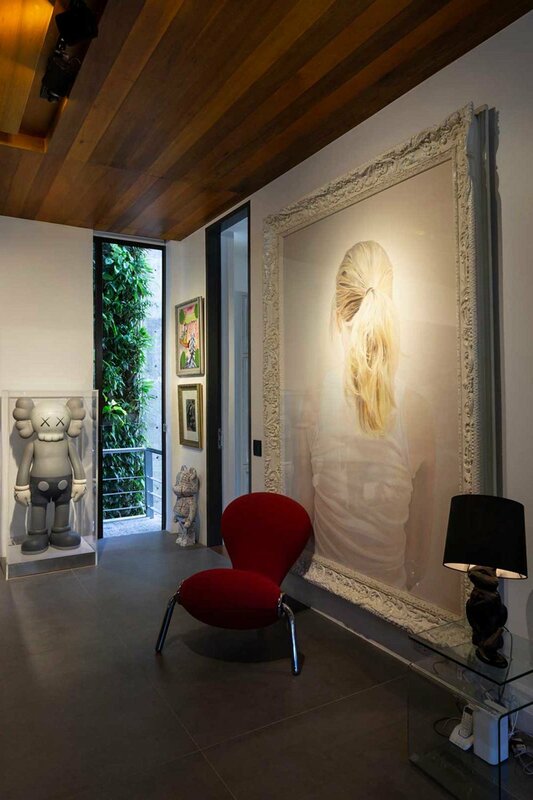 The Babaos are avid art collectors, and over the last two decades, the couple has amassed a fantastic collection of contemporary art comprising over 400 pieces. It was their shared love for art that inspired the design direction. 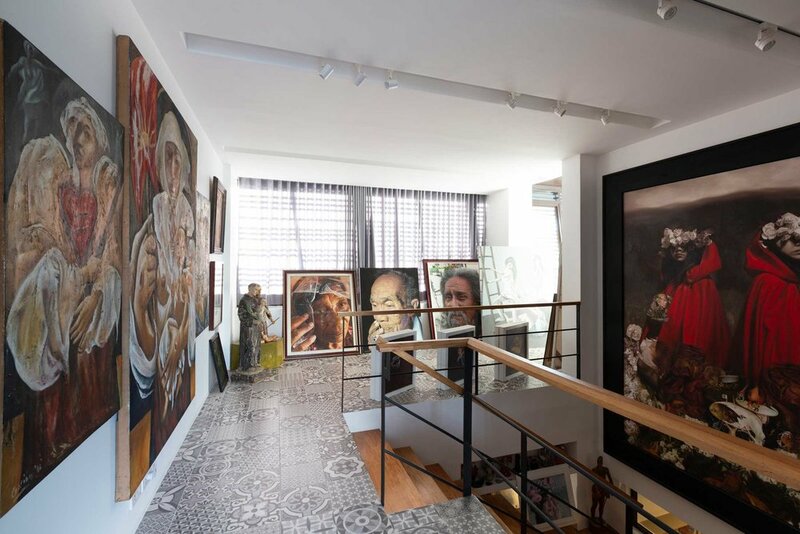 ‘The brief was to design an expansion of their existing house to not only have ample space to showcase their artwork but also to address the growing spatial needs of their family,’ Jason Buensalido, principal architect and chief design ambassador explains. ‘They appreciate how artists see the world differently and interpret it through their art, and how multiple questions and meanings can be derived from it. 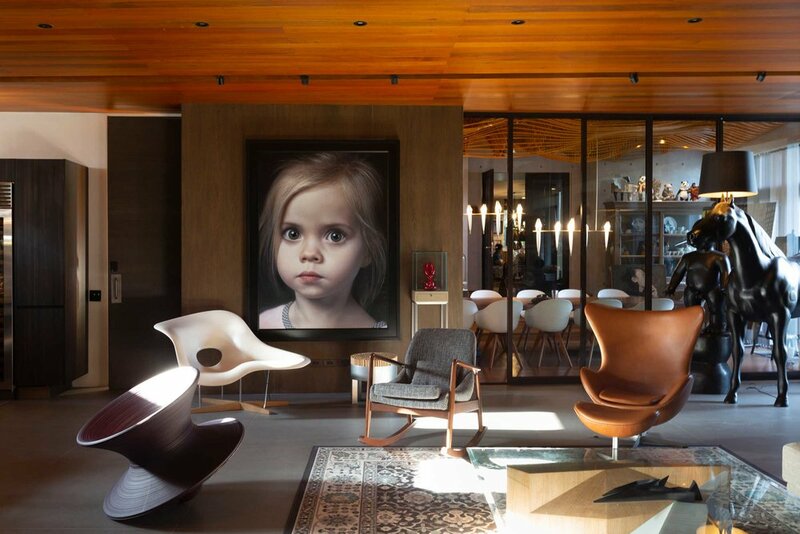 They wanted a house with this kind of perspective –– one that is unique, different, and challenges current paradigms of what a house should be like.’ The artworks take pride of place throughout the home and are complemented by a neutral and natural colour palette. The exterior of the angular building features customised elements such as a folded shell, slanted windows and gradient slats. In homage to the original house, the design team developed ‘a language of transitions, manifested by folds, fragments and fractals of various scales, to negotiate the nature of the existing house to the new expansion,’ Buensalido says. 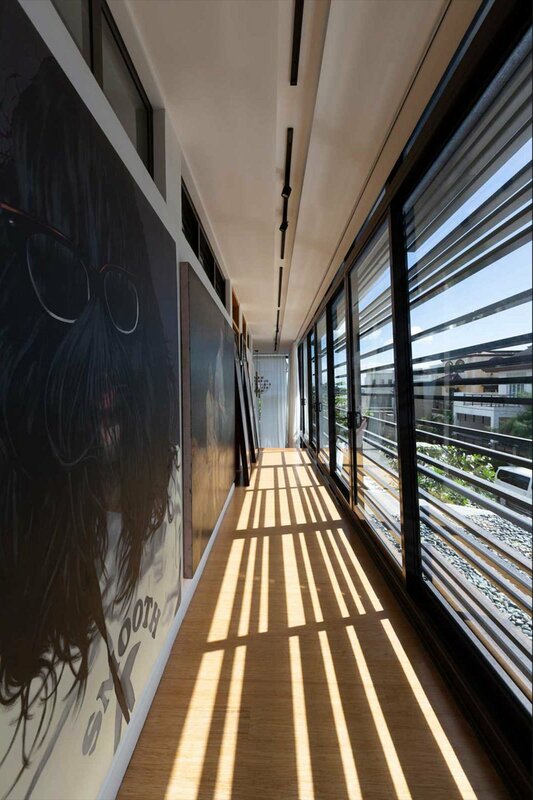 A gradient of horizontal aluminium slats forms a brise-soleil, and the home’s facade is covered in an ever-changing pattern that changes according to the sun’s angle. Inside, the dining room is one of the most striking spaces. ‘The owner envisioned this space to be the pièce de résistance of the house, as this is where the family and guests would spend long periods of time. We therefore designed it to be a cocoon-like experience, wherein a series of undulating metal strips engulf the space,’ Buensalido explains. Along with ample natural light, the exterior is further incorporated into the design with a lower ground lanai, pool and deck ol, a terrace for al fresco dining, and a top-floor sky terrace that the family uses as an outdoor cinema. Wood is used throughout the home as a warm contrast to the white stucco surfaces. The Baobaos prized furniture collection is a creative collage of local and imported pieces such as the Chiquita stools and the Yoda chair by Kenneth Cobonpue, the La Chaise lounge chair by Charles and Ray Eames, the Egg™ chair by Arne Jacobsen for Fritz Hansen and the Spun chair by Thomas Heatherwick for Magis. 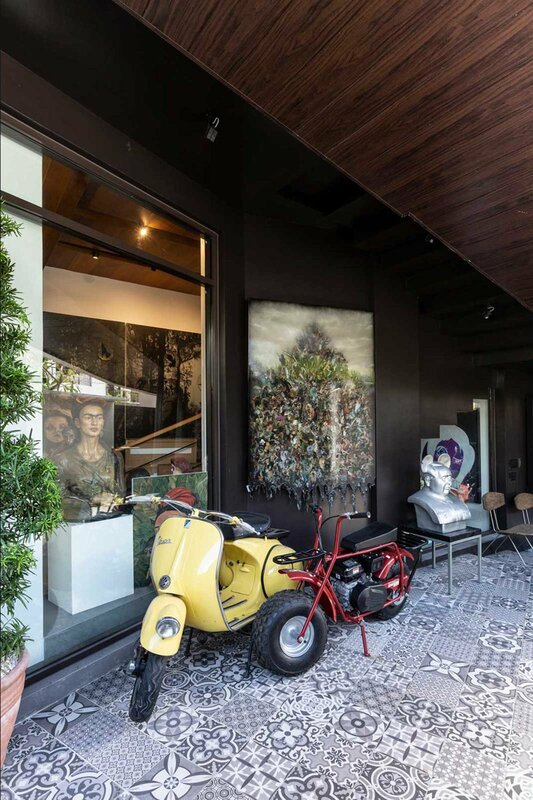 The design team, in Buensalido’s own words, aimed to ‘engage not only the public eye, but the public mind as well, to make people rethink the current boundaries of what a home should be,’ and it's clear to see the boundaries have been rather stylishly, and artfully, shifted.